It is no surprise that the increase in digital citizens in India due to affordable mobile phones and internet services has brought about the Indian digital revolution. Such an increase in consumers has opened a wide market for various online sectors, including the gaming industry, which experienced a boom in 2017-18. According to a Flurry Analytics report, India ranks second in global gaming session share at 13 percent, just behind the United States. 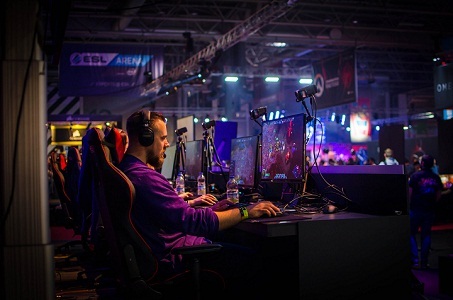 According to a research report by KPMG and the Indian Federation of Sports Gaming, the Indian online gaming industry is likely to witness a growth rate of 22 percent. The report estimates the value of the online gaming industry will reach INR 11,880 crores by the 2023 fiscal year from the current estimated value of INR 4,380 crores in the fiscal year 2018. Such means the Indian online gaming industry’s growth has increased by more than 10 percent while the television industry’s growth has gone down by 8 percent from the previous year. Fantasy sports games are the emerging champions of this sector, with around 74 percent of participants playing fantasy sports one to three times a week. 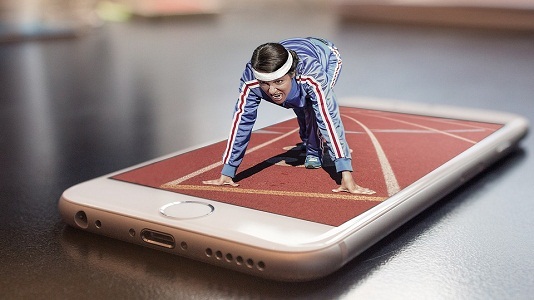 The responses revealed that “fun and excitement” is the primary motivation for playing such games, followed by the “remain connected with the sport,” “ability to manage teams virtually” and “utilization of sports knowledge.” One-fourth of these participants spent money on these digital platforms that came right from the user’s pocket. Fantasy cricket and fantasy football were the most preferred sports games of the respondents, mirroring the popularity of these sports in India. Online real money games (RMG) is another prominent emerging industry in the online gaming sphere, with over 100 companies sprouting in less than a decade in this sector. The average revenue growth of the industry is around 30 percent while the users in this industry continue to grow at an average of 50 percent a year. Online poker games have been especially popular as card-playing sites earned revenue exceeding INR 100 crores in 2017-18. In the last couple of years, poker has gained acceptance all over the world as a game of skill and strategy. A similar trend has emerged in India as poker has gone from being a casual betting game to a strategic mind game. As a matter of fact, poker has even made it to Indian television in the form of the Global Poker League (GLP) India, the country’s premier long-run poker league weekly broadcasted on Colors Infinity. The show features six teams from across the country who play poker and compete to win one crore and be crowned the champions. Two famous Indian poker professional players, Aditya “Intervention” Agarwal and Muskan Sethi, both of whom are team captains to the Kolkata Creators and the Delhi Diehards, respectively, headline the show. Indeed, many believe that India is home to more than two lakhs active online poker players, mainly hailing from metro cities such as Kolkata, Ahmedabad and Bangalore. The increasing demand for online games has attracted millions of dollars of investment, with at least two game development start-ups mushrooming every month. Recently, PokerStars India, the Indian subsidiary of the globally successful online poker website, roped in the critically acclaimed Bollywood actor Nawazuddin Siddiqui as their brand ambassador. Not only Nawaz, but several others have signed various famous Indian celebrities, such as actress Sunny Leone, actress Anita Hassanandani, boxer Vijender Singh, actor Rannvijay Singh and actor Arjun Rampal, as brand ambassadors for online game companies, which sheds light on the growing market importance of online gaming. Apart from rising smartphone users and affordable internet connectivity, the success of online card games has to do with its low infrastructural cost, larger target audience and scalability. Mobile gaming eliminates the need for players to go to a live casino to enjoy their favorite game. Additionally, the absence of physical limitations and the costs to set up a casino business attract unlimited as well as global customers. In lieu of increasing disposable income, Indian’s rising middle class wants to pay for quality content, resulting in high profit margins for this emerging industry. EMR AND EHR - Not Just Another Set Of Acronyms - But Critical For Healthcare!!! Makarand Sawant, Senior General Manager – IT, Deepak Fertilisers and Petrochemicals Corp.